Free shipping. Buy direct from HP. 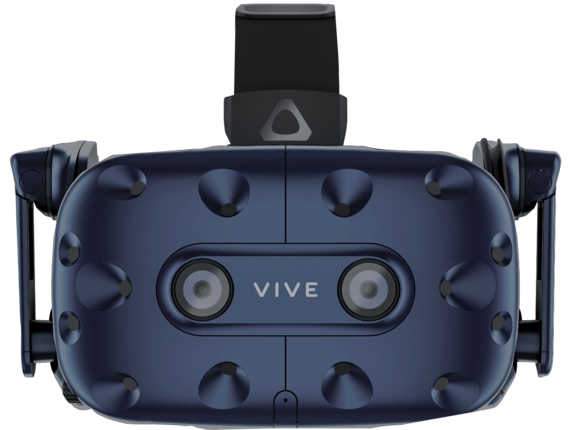 See customer reviews and comparisons for the HP HTC Vive Headset Only VR HMD. Upgrades and savings on select products. Give life to virtual realities with the ultra-high-fidelity audio, vibrant colors, and precise tracking of the HTC Vive Pro Full Kit. The Kit also includes the robust commercial HTC Advantage+ Service Pack and two controllers and two base stations to scale from single seat to multi-user environments. Make graphics, text, and textures look perfectly crisp and clear with the super-rich colors and details on the dual-OLED displays with 2880 x 1600 resolution. Get comfortable with a headset that’s easy to put on, remove, and wear - even for extended periods. It evenly distributes the weight, has a large face gasket surface, and is adjustable for head sizes, glasses, and interpupillary distance. Access commercial warranty and support services with the included HTC Advantage+ Service Pack  Minimize downtime with expedited return and replacement and deploy software and drivers with a sophisticated Device Management System. Enjoy increased volume and resonance from high-resolution headphones, 3D spatial sound, and a dual mic array. Minimize real-world distractions with environmental noise cancellation. Change the mode to stay immersed and still hear your surroundings. Access commercial warranty and support services with the included HTC Advantage+ Service Pack Minimize downtime with expedited return and replacement and deploy software and drivers with a sophisticated Device Management System. 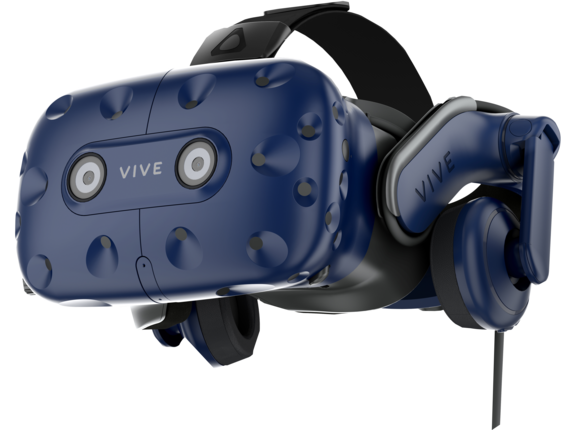 1 For complete commercial HTC Advantage+ Service Pack details, see https://dl.vive.com/TOC/VIVEPRO_AdvantagePlus_TAC_USA_English.pdf 2 The HTC Vive Pro Full Kit allows 6x6 meter tracking space. Two additional base stations, sold separately, are required for a full 10x10 meter experience.